Highlights: Oktoberfest-style celebration, with special autumn beers from the brewery; German food, music, and dancing; sauerkraut-eating contest; children’s activities, including carnival rides, a petting zoo, and live performers. Following a tradition that started in the early 1800s in Munich, Germany, Rochester Mills Beer Company invites you to partake in its Annual Oktoberfest festivities – and you needn’t be German or travel halfway around the world to do so. This family-friendly celebration, September 26-27, features German-style food and beer under a huge American-made tent. Come join more than 2,000 of your closest friends and family who are expected to enjoy the live music, dancing and children’s activities taking place behind the brewery during the two-day extravaganza. Kids will get a kick out of carnival games, moonwalks, pony rides, petting zoo, clowns, balloon artists, tattoo artists and new this year, a charity dunk tank. Those young at heart can participate in the popular sauerkraut-eating contest or be entertained by traditional German music and dancing. Musical performances by renowned German bands “Enzian” (Friday and Saturday from 6-10pm) and “the Vagabonds” (Saturday from 1-4pm), along with a special appearance by the Carpathia Dancers. 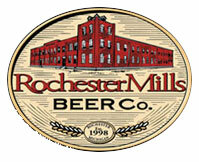 Head Brewer Eric Briggeman has prepared fresh batches of Rochester Mills’ Oktoberfest (German-style lager), Water Street Wheat (German-style Hefe-Weizen), and Harvest Lite (American-style light beer) to be offered under the tent. The tent is open from 5-11pm on Friday and from 1-11pm on Saturday. Admission is only $5 for adults; children 16 and under get in free (with a paid adult). All proceeds benefit the Make-A-Wish Foundation and the YMCA North Oakland County Waves swim club. A full menu and selection of beers on tap will be available inside the brewery during the event. No cover live entertainment inside the brewery features “the Square Pegz” on Friday and “Spirit of ’76” on Saturday, both starting at 10pm.